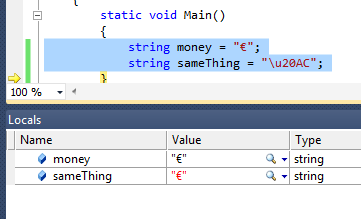 You can enter Unicode characters directly into your source code using the editor in Visual Studio. These characters will be stored and intepreted correctly, if contained in a comment or a string literal. (Unicode characters are not used in any C# keywords).